Easily follow your stock earnings every day. An equity portfolio is a collection of investments in the stock market. Certain corporations offer publicly-traded stocks through trading facilities that are regulated by the Securities and Exchange Commission, as expressed in the Securities Act of 1933 and Exchange Act of 1934. The shares represent ownership in the companies, which then use the funds to generate revenues. Offering equities is an alternative to a corporation taking out a business loan, and can be beneficial to both investors and the company itself. Capital appreciation is the main way to make money on stocks. If the value of the stock increases, the shares you hold become more valuable, allowing your investment to grow. According to USAA, citing the New York University Stern School of Business, returns from the stock market have averaged 9.26 percent per year since 1928, compared to an average return of only 3.7 percent for cash savings. Past performance can't guarantee results in the future, though, and all stock investment carries risk. Dividends are portions of profits that get paid out to shareholders on a regular basis by many publicly traded companies. The size of the dividend per share is determined by a company's board of directors, and the amount paid to any given investor is based on the amount of shares that the investor owns. Dividends can offer a regular income to investors in those companies that issue dividend payments. Some companies offer options to have dividends automatically reinvested, increasing the value of your holdings. Equities are relatively liquid, meaning that they can be bought and sold on short notice and can be converted into earnings quickly. This offers a convenient advantage over investments such as physical commodities, where you might have to spend long periods of time looking for a buyer or seller, or products like certificates of deposit that carry penalties for early withdrawal. You can manage your investments in any way you like. You are free to buy and sell your holdings at any time and in any manner -- although trades carry fees, which can vary depending on the service you use for trading. You get to make your own decisions about where your money goes based on your own research, or with help from a professional advisor or association. When you buy shares of a company, you become a partial owner of that company. Most shares have voting privileges, meaning that no matter how small your say may be, you have the right to express your opinion about the operations of the business. You are entitled to attend shareholder meetings and voice your concerns. In equity investment, you can hedge your bets on making a profit by diversifying your holdings. This means buying equities in a variety of different companies so that failure of one or two investments can be offset by success in other investments. The stock market offers a number of effective avenues for making diverse investments. Equities offer an opportunity to use all sorts of different strategies to make money. 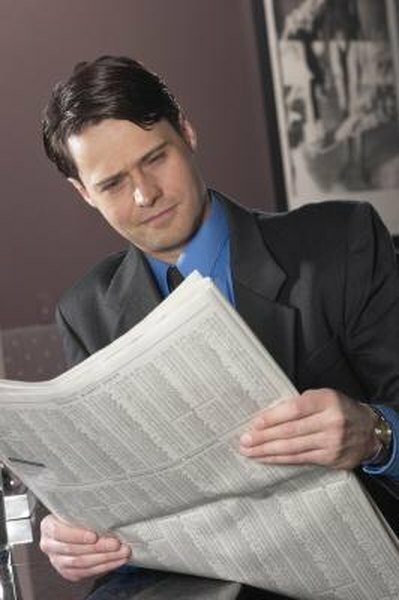 Although they might be risky, using more advanced investment strategies such giving your broker instructions for buying and selling as the prices fluctuate, or agreeing to purchase a stock before a certain date, give you opportunities to actively participate in managing your investments, and potentially make a lot of money quickly. On the downside, a poor strategy can also result in losing a lot of money quickly. What Causes a Decrease in Owner's Equity? What Are the Benefits of Portfolio Margin Accounts?